Record all the different bird species you see in one day! 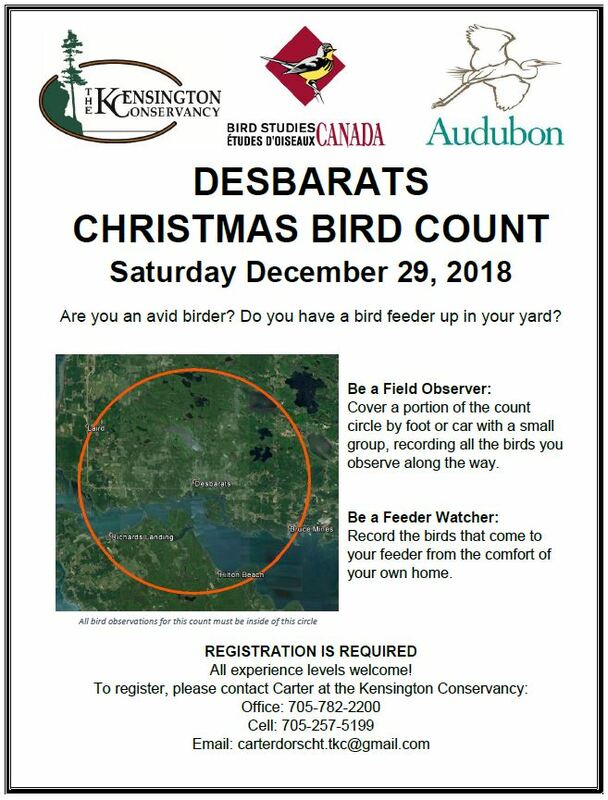 Download the complete data set from the Desbarats Christmas Bird Count here. All counting must be done within this count circle. If you are unsure if you are within the circle or not, please contact us for more details. You can help monitor and conserve North America's birds! Started in 1900, the Christmas Bird Count is North America's longest-running Citizen Science project. Counts happen in over 2000 localities throughout the Western Hemisphere. The information collected by thousands of volunteer participants forms one of the world's largest sets of wildlife survey data. The results are used daily by conservation biologists and naturalists to assess the population trends and distribution of birds. You should be prepared to commit part or all of the count day as either a field observer or feeder watcher somewhere within the count circle. Field observers cover a portion of the count circle on their own or with a small group, counting all birds they find. Feeder watchers count birds at their feeders for a portion of the day. 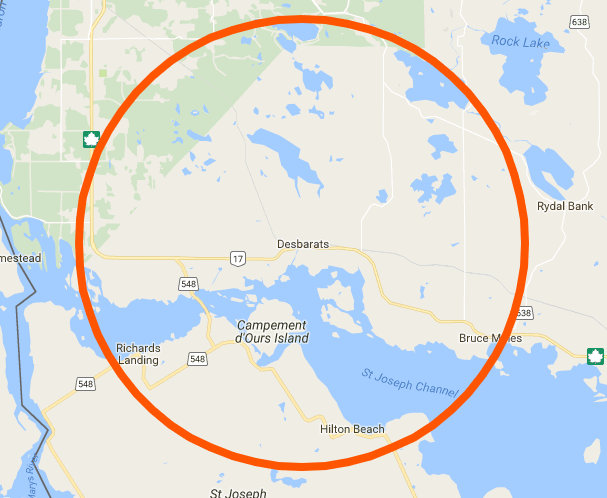 The count circle has a 12km radius, centered around the former TKC office location (currently Loonie Toons Pontoons & Powersports) in Desbarats, ON. In addition to Desbarats, the circle count also includes the towns of Richards Landing, Hilton Beach and Bruce Mines. A map showing this circle is posted just below here on the left. If you wish to participate or would like more information, please contact Carter at the Kensington Conservancy! He can be reached at 705-782-2200 (office), 705-257-5199 (cell) or carterdorscht.tkc@gmail.com. For more information about Christmas Bird Counts in general or to find another count, visit the ﻿Bird Studies Canada website﻿ for Canada or the Audubon website for the United States. Interested in participating in another local Christmas Bird Count? Sault Ste. Marie has one too! Click here for more information or here to see their complete data set!